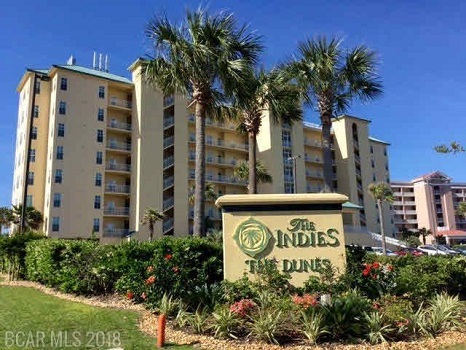 Gulf Shores condo for sale at The Indies. Super clean, non-rental 1BR/1BA condo located in a gated community in Fort Morgan. It comes with a large balcony over looking the pool and great Gulf views. Unit has granite counter tops in the kitchen, 9 foot ceilings, tile floors and built in bunk beds.